Sarah Gibb is an English illustrator whose drawings have appeared in national newspapers, magazines, and greetings cards, although she is predominantly an illustrator of children’s books. Sarah came to us as she needed her website updated with fresh text and images as well as alterations to the layout of some of the pages. 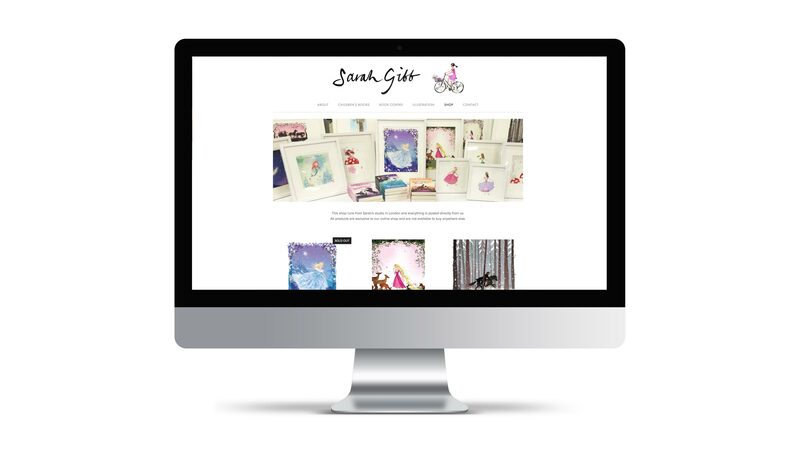 Strand did not design Sarah’s website however, we are able to work with a wide variety of Customer Management Systems (CMS) and website frameworks and were therefore easily able to access the pages of her website and make the updates quickly and efficiently. Sarah also wanted the ability to make amends herself, such as adding text and products to the shop section. We were happy to sit down with Sarah and talk her though the admin of her CMS and the processes involved so that in the future she can make these updates herself easily and confidently. Michael Palin’s 2015 solo UK stage show. Allfarthing P.T.A. is the Parent Teacher Association for Allfarthing Primary School based in Wandsworth south-west London.